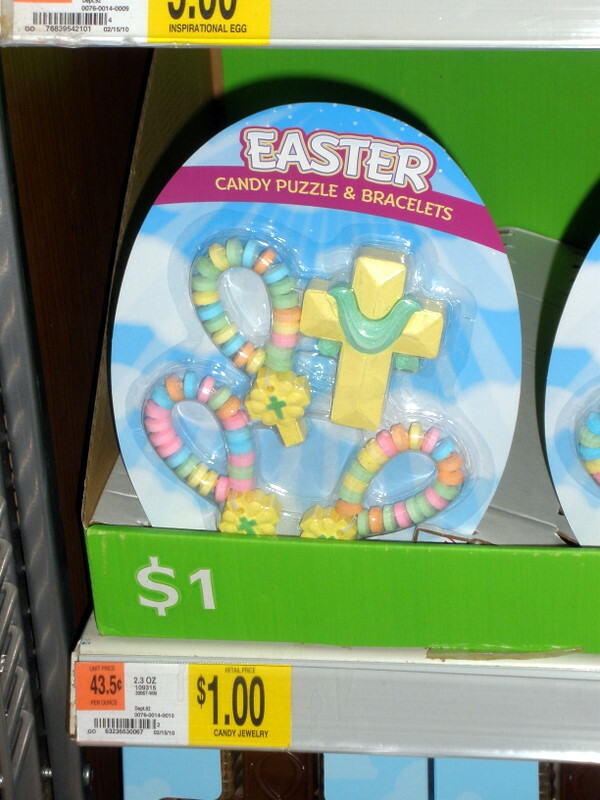 As seen on the shelves at Wal-Mart: candy crosses to gnaw on! Go ahead, rot your teeth for Jesus. Have you seen the camouflage Easter egg decorating kits and the camouflage plastic eggs to hold candy? They are hideous! I’m slightly less horrified by the camo eggs & baskets than I am by the camo onesies for infants.